SPI International has been a leading supplier of theatrical films and television programming in the international market. SPI currently operates 34 TV channels in 41 countries, boasts an unbeatable VOD library, and maintains more than 25 million monthly subscribers. SPI’s strong alliances with companies such as Focus Features, The Weinstein Company, Summit Entertainment, Studio Canal, Pathe, Lakeshore Entertainment, Wild Bunch, BBC, ITV, Beta, Freemantle Corp., and Tandem, among many others, provide endlessly compelling content, with strong recognition and high demand. SPI is also committed to using the latest technology, so audiences everywhere can enjoy easy access to its content. With its latest cutting-edge app FilmBox Live, SPI offers live feeds of its TV channels and access to its on-demand catalogue on any Internet-connected device. SPI continues to enhance the home-entertainment experience and develop new opportunities for our partners around the world. IT’S FAST, IT’S FUN, IT’S EXTREME! 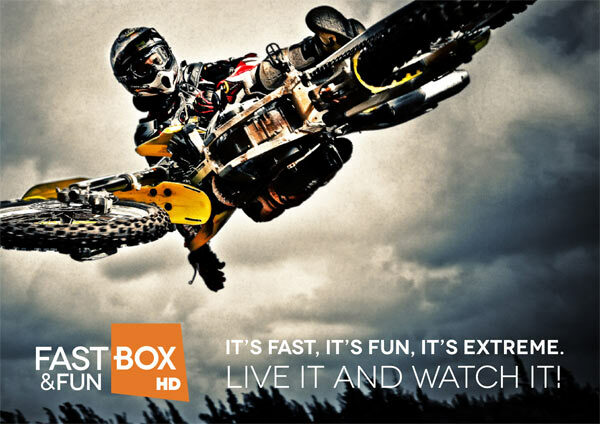 FAST&FUN is a new Television Channel offering an action-packed, adrenaline-including medley of extreme sports, from car racing and motocross to snowboarding and skate-boarding; a large variety of disciplines, shows and competitions from all over the world. Be a witness of unbelievable performances in Car Racing, Motocross, Boating, Sailing, Skateboarding, Snowboarding, Skydywing, Skateboarding, BMXm FMX and others!